Sailing out of Anna Maria Island waterfront properties could not be easier. 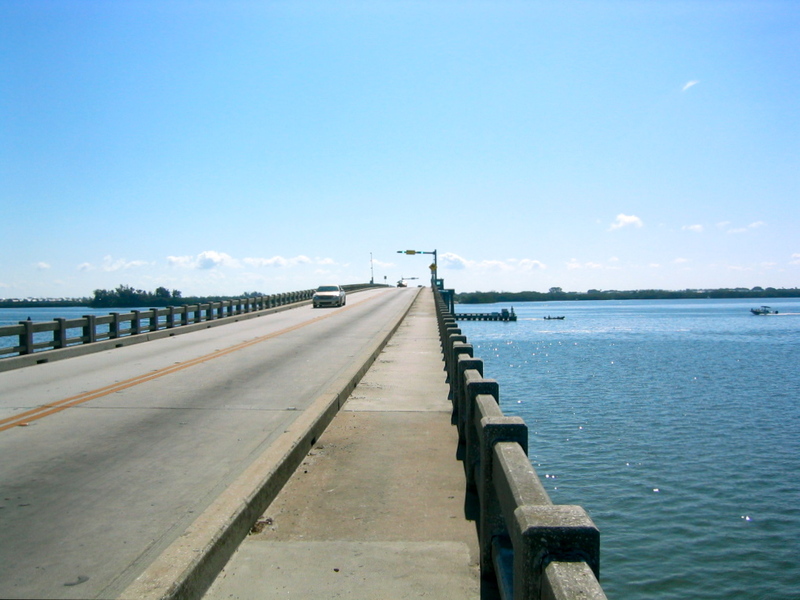 Anything north of Manatee Ave Highway 64 has direct access to Tampa Bay without passing under a bridge. The channel between Anna Maria City and Key Royale, Holmes Beach, is maintained to allow access by large yachts to Galati marina, and the sheltered canals and most boat slips lining Bimini Bay offer depths of at least six feet. Once out into Tampa Bay, a large body of water is accessible to all keelboats, with only a few shallow spots or dredge spoil banks to beware. To the east, under the Skyway Bridge, the bay stretches up to Saint Petersburg and Tampa. To the west, leaving Tampa Bay for the Gulf of Mexico is right around the corner of Bean Point, or via the deep shipping channel north of Egmont Key. The Intracoastal Waterway tracks south inside the barrier islands, but can be too narrow to maintain sailing angles, and is interrupted by several scheduled bridge openings. To the north the ICW continues at Pass-A-Grille. Down the coast, the next large sailing area is Charlotte Harbor, then Florida Keys. This entry was posted in Sports and tagged charter sail, sailboat, sailboat rental, Sailing, Tampa Bay, yachting on June 30, 2014 by Mike. 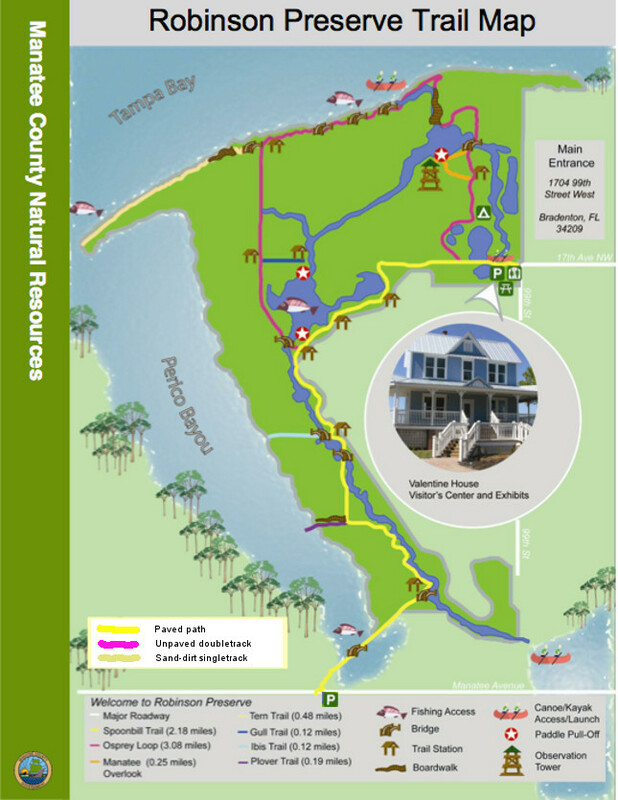 Robinson Preserve has become a popular site for Anna Maria Island and Bradenton residents, along with island and area visitors. The multi-use trails and waterways are a great escape from the congestion and traffic of the beaches and shops. One way to enjoy the preserve is to bike around the designated trails and take a few side spurs to the less-frequented views and outlooks. The main path is paved and smooth for walking and cycling, and are busier on weekends, but the unpaved paths are more interesting and quieter. 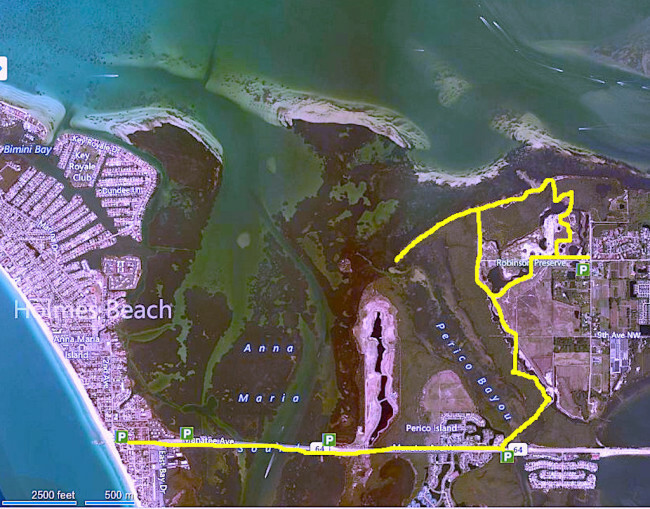 Starting from Holmes Beach, heading along Manatee Ave to the south entrance, and taking most of the available trails in the preserve, I measured a 15-mile round trip. There are several ways to shorten or lengthen ride choices depending on your start point, and by repeating circuits or side spurs. 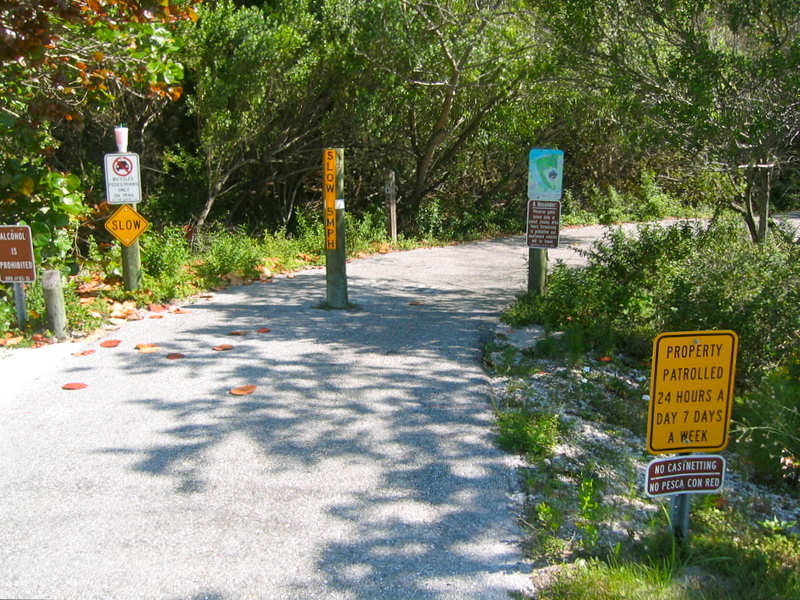 Robinson Preserve south entrance on Manatee Ave, Hwy 64. This entry was posted in Sports and tagged Anna Maria Island Bridge, Bike trails, biking, Robinson Preserve on April 28, 2014 by Mike.